Congratulations to Dynasty Goalkeeper Elizabeth “Bitsy” Hoerner for being named a Finalist for the 2013 Senior CLASS Award. An acronym for Celebrating Loyalty and Achievement for Staying in School, the Lowe’s Senior CLASS Award honors the attributes of senior student-athletes in four areas: classroom, community, character and competition. The award program is designed exclusively for college seniors who are utilizing their complete athletic eligibility, remaining committed to their university and pursuing the many rewards that a senior season can bring. Hoerner is a 4 time student of Dynasty and has been attending camp since 2008. She always found the time in very full summer schedule packed with Naval commitments to attend a Pro Week of camp. She is an extremely well rounded young woman with a promising career ahead (read more on her accomplishments on and off the field below). I am tremendously proud of her progress as goalkeeper over the years, but mostly I have always respected how she carries herself with class in everything she does. As all the fellow Dynasty students whom she has interacted with know she is just an outstanding human being! Everyone loves Bitsy! She has always been a leader at camp and I believe she fully embodies what the Lowe’s Senior CLASS Award represents. She is one of only 10 women’s soccer finalists for this award and every vote matters. So get online and support one of our fellow Dynasty goalkeepers! PLEASE VOTE! Navy women’s soccer goalkeeper Elizabeth Hoerner (Lititz, Pa.) has been named one of 10 finalists for the senior CLASS Award, which was announced on Wednesday, Oct. 16. Hoerner is the second Navy player in program history to be placed as a finalist, as Lizzie Barnes was the first back in 2008. The finalists were chosen by a media committee from the list of 30 men’s candidates and 30 women’s candidates announced in August. Nationwide fan voting begins immediately to help select the winner. Fans are encouraged to vote on the Senior CLASS Award website through November 25. Fan votes will be combined with media and Division I head coaches’ votes to determine the winner. The Senior CLASS Award winners will be announced during the 2013 NCAA Men’s and Women’s College Cup® championships in December. In her first season as the starting goalkeeper in 2012, Hoerner was 17-2-1 with a 1.06 goals-against average and four solo shutouts. She made 84 saves and had a 0.818 save percentage. In league play she was 6-0-1 with a 0.55 GAA in helping Navy win the Patriot League regular season title. Hoerner became the first Navy goalkeeper to earn All-Mid-Atlantic Region First Team honors. She was named the Patriot League Goalkeeper of the Year and to the all-league first team. She helped Navy to a 19-2-1 record in 2012. This season she has helped lead Navy to a 12-3-0 start and a perfect 5-0-0 record in Patriot League play. Hoerner is second amongst Patriot League goalkeepers in goals against average with a 0.49 and boasts the League’s third best save percentage mark at 86.0 percent. In 14 games between the pipes, the senior has blanked seven opponents. Off the field, Hoerner has a 3.86 GPA as an Honors Oceanography major. She has been named to the Superintendent’s List five times and the Commandant’s List six times. She ranks second among her 1,098 classmates in Military Order of Merit and is 61st in Overall Order of Merit. Hoerner is Navy’s team captain for the 2013 season. At the Naval Academy, there is only one team captain and they are voted by their teammates and must be approved by the academy’s senior leadership. Hoerner is organized, thorough and efficient and the other players look up to her. 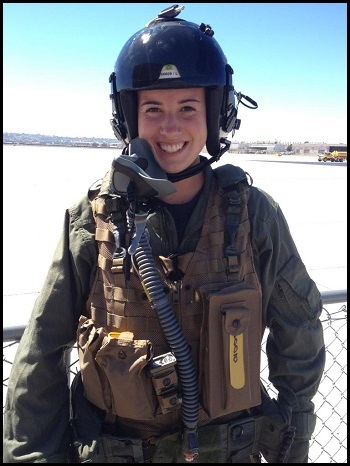 She has shown great perseverance as a member of the Navy women’s soccer team. She was a walk-on that had to tryout to make team as a freshman. She only saw action in three games over her first two seasons but become a first-team all-region and first-team all-league player as a junior after winning the starting job in preseason camp. She beat out a returning goalkeeper who was an all-league selection. Hoerner also serves as the class secretary of the Naval Academy’s Class of 2014. This is a lifetime position. 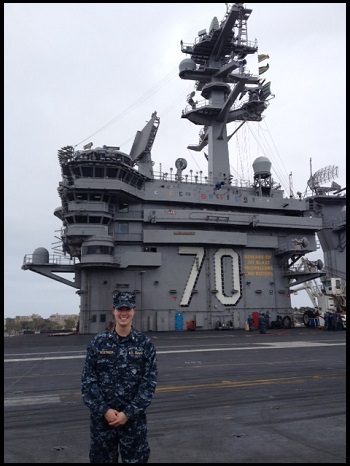 Hoerner has participated in a number of community service events while at the Naval Academy. As a member of the soccer team, Hoerner has volunteered at events at the Boys and Girls Club of Annapolis. The team has also `adopted’ a player through Team IMPACT who has Chron’s Disease for the upcoming season and have already began meeting with and building a relationship with the young girl. Hoerner has also participated in community service events with the Midshipman Action Group and did mission work in the Dominican Republic with Campus Cru. The 2013 women’s finalists are: Aubrey Bledsoe (GK – Wake Forest), Vanessa DiBernardo (MF – Illinois), Jonelle Filigno (F – Rutgers), Kristen Hamilton (F – Denver), Maya Hayes (F – Penn State), Holly Hein (D – Michigan), Elizabeth Hoerner (Navy), Kassey Kallman (D- Florida State), Kealia Ohai (F- North Carolina) and Anna Stinson (M – Illinois State).